Earnings are reinvested into the community in the form of new energy projects and programs leading to further greenhouse gas emissions reductions and customer savings. The environment benefits from clean, renewable energy. When PCE purchases renewable electricity (such as geothermal, solar and wind), the consumption of fossil fuels is reduced, leading to lower greenhouse gas (GHG) emissions. PCE provides the local community with more control over their electricity supply. Peninsula Clean Energy is Countywide! 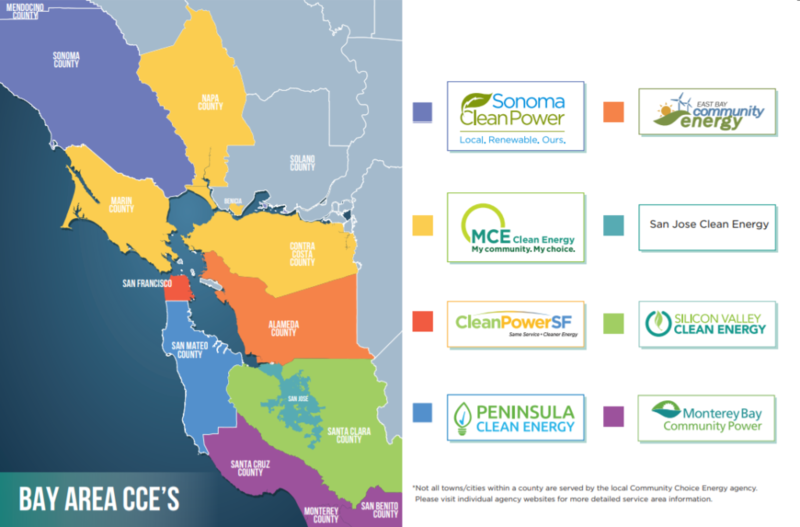 PCE is now serving all of San Mateo County with cleaner energy at low rates. As a PCE customer, you have a choice in the amount of electricity that comes from renewable energy with our two different product options. You can choose our default option, ECOplus, with lower rates and nearly double the percentage of renewable energy as your current service. If you can afford to pay a little extra and want to help even more to reduce greenhouse gas emissions, you can choose our ECO100. When you choose 100% renewable energy, you’re leading the charge for a more sustainable future for San Mateo County. Don’t live in San Mateo County? There may be a different CCE that serves you!